Week 11 Waiver Wire Picks: Lamar Jackson Worth An Add? The fantasy football playoffs are just around the corner. This season has flown by like a runaway train and it's time to think about the playoffs. Yes, Jim Mora, the playoffs. As you get your team ready for a final push, consider some tips from the week 11 waiver wire picks. The 'Boys have struggled, but Dak has been putting up fantasy points. The Cowboys are awful and Prescott is not an elite quarterback. Now that the negatives are out of the way, he has been better than you think in fantasy. 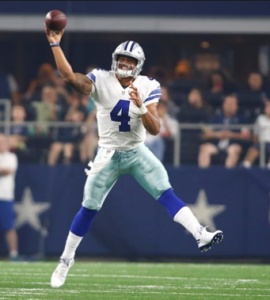 Over the last four weeks, Prescott has averaged 24 fantasy points per game. He has not scored less than 17 points in that span. Now he gets to face some very beatable defenses including Atlanta, New Orleans and Philadelphia. Oh, and he gets Tampa Bay in week 16 when most leagues have their championship game. Think about it. While he might have more raw athletic talent than anyone at the position, Jackson is not a good quarterback. Not yet anyway. If he starts, that will probably not matter. Tim Tebow wasn't a good quarterback either, but he carried fantasy teams. Michael Vick gave an interview after years in the league and said that he was just starting to read defenses and he was a fantasy superstar. Piling up rushing yards and the occasional rushing score can be a powerful deodorant for bad quarterback play, at least in fantasy. I am not convinced that Jackson will start yet. The Ravens are in the playoff hunt and Robert Griffin III probably gives them a better chance to win. It is still worth a grab and stash if Jackson is out there in deep, 2QB or dynasty leagues. A lot of people bailed on Freeman following his injury. He is not going to be the bell cow back that people had hoped for in the preseason. Phillip Lindsay has been excellent and will not give up his share of running back touches. At the same time, Freeman is a punishing rusher that sees a fair number of the Broncos goal line carries. He is well worth an add if he was dropped in your league. Over the past two weeks, Adams has clearly been the best runner on his team. He has gone for 108 yards on just 16 carries. As such, Doug Pederson has promised more work for the undrafted rookie. Take this with a grain of salt, as Pederson loves his RBBC approach for better or worse. The only sure thing in the equation is that Adams has the ability to make things happen if he gets the chance. The Seahawks have proven a couple of things this season: they can run the ball, and you don't know who will be the main back in a given week. In week 10, Penny flashed the ability that convinced the Seahawks to spend a high pick on him to begin with. He went for 108 yards and a score on 12 carries against a solid Rams run defense. It stands to reason that Penny will get first crack at the starting job going forward. All that remains to be seen is if he can maintain a high performance level. It has been about five years since Frank Gore was an exciting game-breaker. What he is now, is a guy that gets a decent number of carries and compiles stats. He is going to bet you 6-10 fantasy points most of the time. Of course, there is a chance that he falls into the end zone at some point, but don't bank on it. 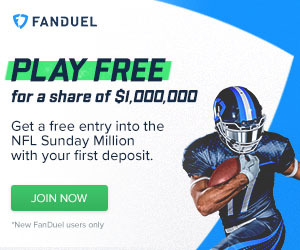 If you're the gambling type, go for a boom or bust wide receiver. If you want to know what you're getting in your bye week flex spot...settle for Gore? The Chargers have some high draft picks in their wide receiver corps, like Keenan Allen and Mike Williams. Despite a promising start to the year, Mike Williams is basically off the radar for Philip Rivers. He makes the occasional big play, but for most purposes Tyrell Williams is the guy if you don't have Keenan Allen. He does not come with the first round pedigree, but Tyrell Williams is a trusted target of Rivers and a proven deep threat. Despite the fact that Andrew Luck is not throwing him the ball anymore, Moncrief has had value this season. He is seeing a nice target share in the surprisingly pass-heavy Jacksonville offense and has put up at least 7 fantasy points in more than half of his games played. He is unlikely to have another big game like week 10, but Moncrief is one of the better widely available flex plays. The Bears offense is inconsistent, but when they hit they hit big. Over the last few weeks, Miller has been trending upward for the most part and that should continue. He has three scores over the last five games and his catches in that span have been: 1, 2, 3, 5, and 5. As long as he can keep a consistent stream of targets from Mitchell Trubisky, Miller is going to put up decent numbers. The skill is there for Gallup, but will he get the opportunity? That is a question that doesn't have a real answer at this point. He is getting more involved in the Cowboys offense, but Zeke Elliott is still the top run and pass option at the moment. I would be surprised if there is not a change in play calling over the next couple of weeks. If that happens, there is a solid chance that Gallup gets a bump in value. With the Ravens likely having to start one of their backups, the receiving number may see a shake up. The most likely scenario is that the running backs and tight ends will benefit to start. With Mark Andrews being the most skilled and explosive receiver in that group, he should see a stat increase. Andrews already has four games with at least 50 receiving yards or a score. He is a solid guy to take a flyer on at a paper thin position. Coming off the bye, Houston's rookie tight end is more lightly owned than ever. He has not exactly been a target magnet, but Deshaun Watson looks his way in the red zone. With three touchdowns in his last two games, Thomas is as likely to score as almost anyone at the position. There is the risk of a goose egg here, but outside the top 5 or so at tight end, that is a common theme this season. Be sure to come back tomorrow and check out the Knuckleheads' positional rankings. Follow me on Twitter for some extra insight and analysis: @brendancole16. Category - The Best Waiver Wire Picks - Week 11 Waiver Wire Picks: Lamar Jackson Worth An Add?